It all starts with the milk, heavy with all the fat. You may be familiar with cream in your coffee and have enjoyed many a dish with cream added ah but do you cook with it? A lot of cooks shy away from cream for fear of using it wrong. 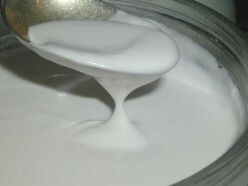 Cream really is a simple ingredient to cook with once you understand the basics of milk the place all cream comes from. Once you learn the simple facts about milk and cream plus the basic guidelines you will be loving the fun you have adding cream to the dishes you once thought you couldn't make. The basics of cream are milk the foundation of all things creamy. Whole Milk - commonly has at least 3.25% fat content. Skim Milk - has most of the fat removed leaving a mere .5% fat content. Low Fat Milk - ranges from .5% to 2% fat content looking and tasting more like whole milk than does skim milk. Evaporated Milk - is reduced by removing up to 60% of the water, it is canned, evaporated milk can be substituted for fresh milk by adding equal amounts of water. Sweetened Condensed Milk - is similar to evaporated milk, having a large portion of the water removed with sugar added. Sweetened condensed milk also comes in cans and is a good substitute for fresh milk and sugar in desserts. Nonfat Dry Milk- is whole milk brought to a powder after having all the water and fat removed. Nonfat milk is easily re-hydrated by adding water and can be substituted for milk. Dried milk is also used in homemade drink mixes such as hot chocolate. Buttermilk- Is what remains after the butter is made from whole milk. Cultured butter milk is the product of this liquid once being treated with lactic acid bacteria. Yogurt - is fermented milk available both plain and flavored. Plain yogurt can be used as a low calorie substitute for sour cream. Heavy cream is commonly used as the main ingredient creating the lightly sweetened fluffy white topping adorning many a delectable dessert. Ah yes the much loved whipped cream otherwise know as whipped topping! Whipping cream (also heavy cream) - is the richest cream you can buy; it contains 30 to 40% fat and is used to make whipped topping and many rich sauces often including cheese. Half and Half (light cream) - contains half the fat as whipping cream. Half and Half is more like milk than cream. Half and Half will not whip. It is used to create richly flavored coffee, chocolate and tea beverages and often used as a lower fat substitute for heavy cream in dishes. Yum. I'm thinking of dessert :-). Brenda, All things in moderation and varied up, enjoy your cream! I love cream. All the fun was taken out of eating when we were told cream, butter and fried chicken are bad for us. Sometimes I think what's the use of eating. Angel, thanks for commenting cream does make so many dishes delicious. I love using heavy cream in dishes. Especially homemade chicken alfredo. Yum.. great info.